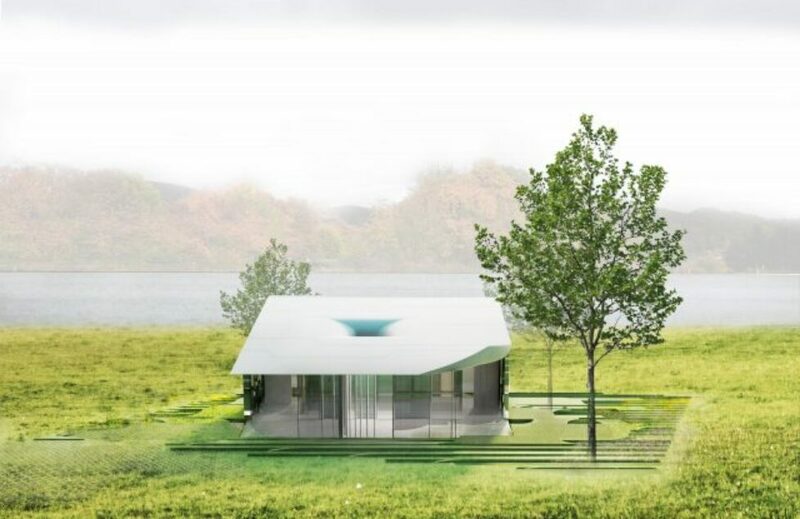 SsD was selected among 19 architects to develop a prototype dwelling that immerses work in nature while clarifying the relationship between work/life and the individual / collective. The project takes a new approach to the conventional building envelope and creates ways of life between itself. Up to 10% of a normal building footprint is occupied by walls as dead space. 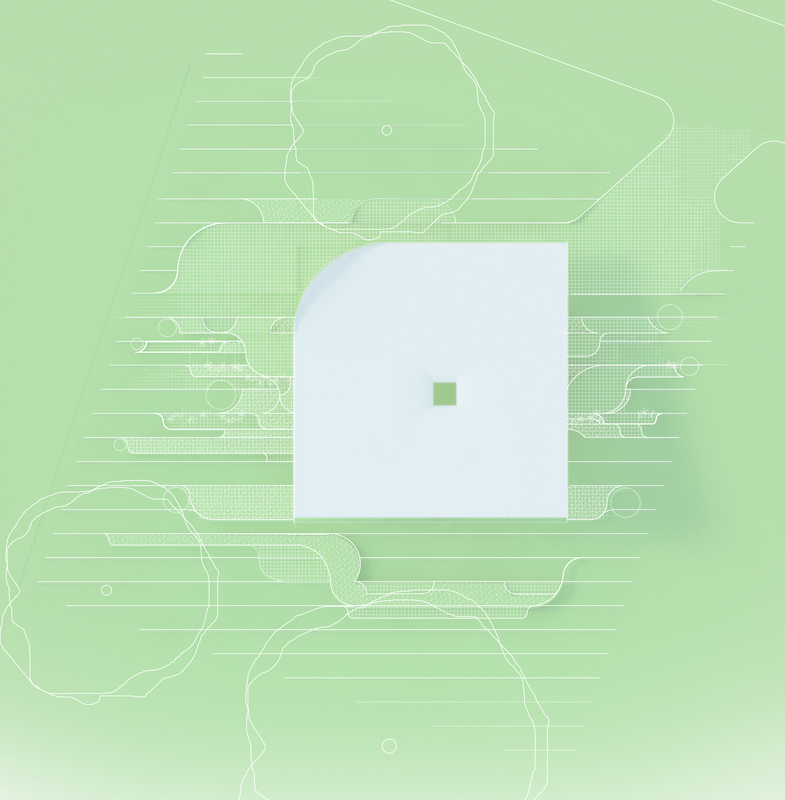 By delaminating each individual layer of a wall and window assembly, we are able to build on the characteristics of each part and create new spatial conditions. Louvers, flyscreens, cladding, double glazing, framing, internal linings, curtains and blinds create a series of layers which allow for increased material and climatic efficiency. Our principle is that each assembly layer, each material, each fitting, can be of greater value and use than just for its sole intended purpose. Delamination of the wall: claiming unused space between components making new spaces at a micro scale. Each layer creates a particular range of spatial and climatic conditions. The sloped ground is controlled through a simple field of stainless steel garden edge strips. These are manipulated to align with undercover and internal spaces, allowing program to extend and maximize use of the entire site for every way of life in every season. The design is a prototype which uses an internal footprint of only 39m2. Occupation is flexible with the use of two separate layers of glazing. An external layer with hinge doors activates and transforms external spaces; open the living room door to create an outdoor cinema. 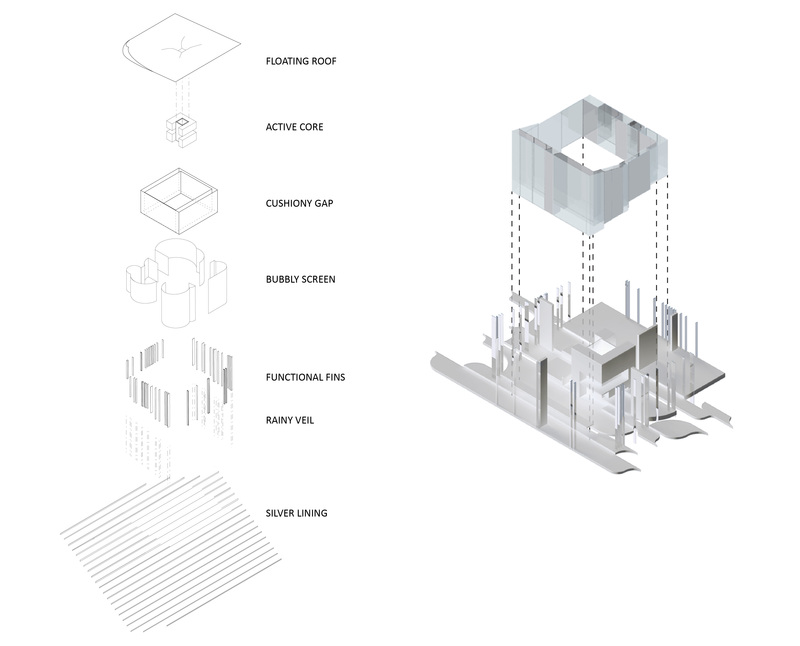 Play spaces, vegetable ‘pantries’ and extended dining area expand out of the internal programs to 100m2. By using such an approach, we estimate we can save up to 25% of cladding, internal linings and internal framing compared to a conventional house of a similar size. 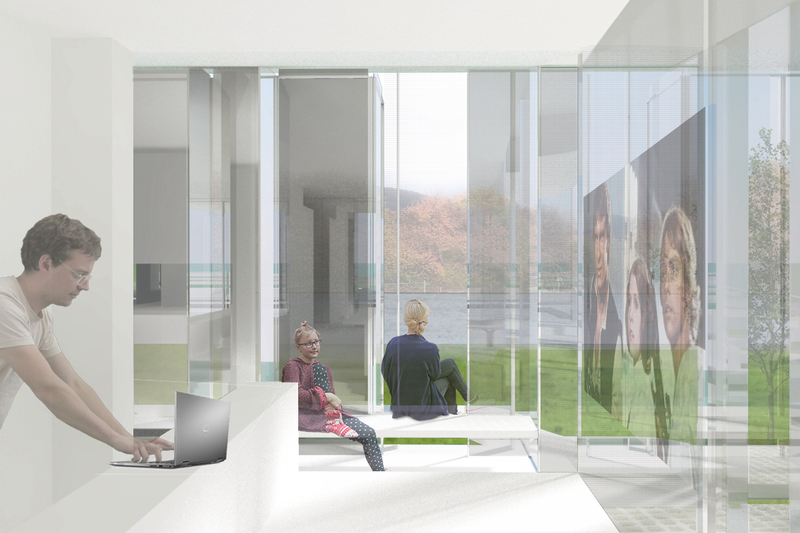 View of the living area, where reflective glass elements immerse your own image in your view to the landscape.